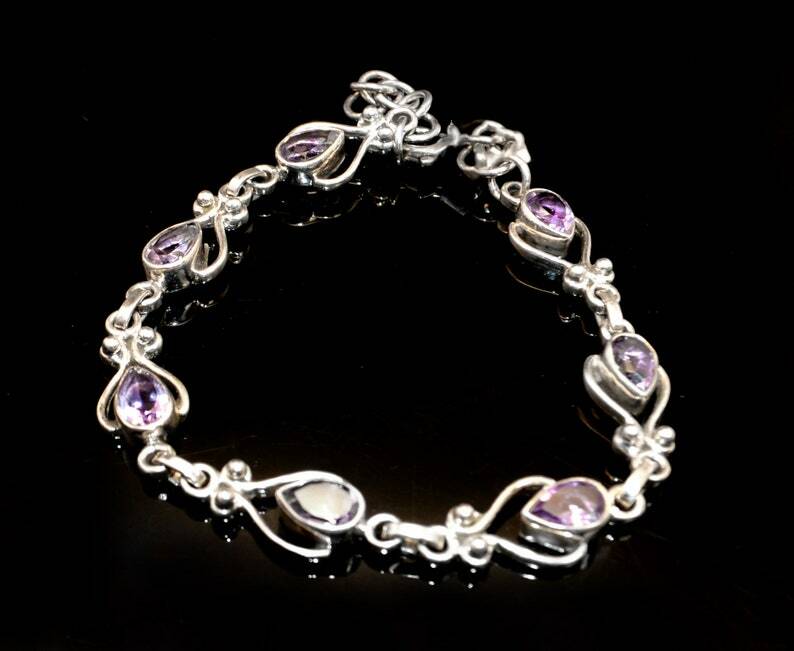 This is a beautiful handcrafted 925 Sterling Silver fine stackable bracelet embellished with faceted Amethyst stones. This is pure a fine piece of art and is a One of a kind piece. 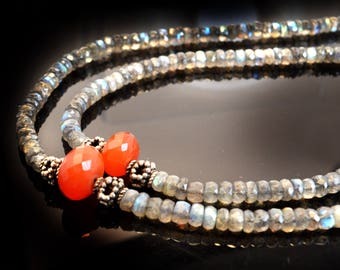 A wonderful gift for someone you love! We have a custom black box with a red ribbon for gifting. A message can be included upon request. Poorly made product. First bracelet that I received quickly tarnished in a couple of weeks. The thin layer of silver came off revealing the brass core even though these are supposed to be 40% silver. I contacted the seller and they did send out a replacement but it was even more poorly made than the first bracelet. AT first Larry was looking for a special rebate. 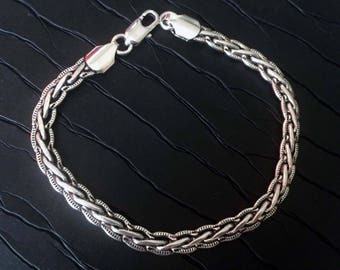 Then self admittedly he wore the bracelet while showering, thus it tarnished. Even after that I was considerate enough to send him a replacement at no charge to him. He kept both the bracelets and left me a bad review. Please be aware of such customers. As an honest seller we often end up losing money with customers who treat Etsy like other larger platforms. Please note that we sell handmade and not commercial merchandise. The earrings are lovely! They will make the perfect gift I was seeking. Shipping was on time and there were no problems ordering. We offer Free Gift wrapping and Gift Message with any order upon request. Please message us or email us with your special requests and we would love to make them for you. Please email or message us with any sizing requests, we will make sure that we work with you on your special requests. Avoid excessive water exposure for all jewelry.Bathing or swimming with jewelry is not recommended.